This cute owl design was inspired by my little princess’ pajama, honestly kids’ clothing got the cutest animals going on, who wouldn’t love it. This design is great for any season, I love how this kind of design doesn’t get “expired” so you can wear it anytime. I hope you guys love it as much as I do and here’s the tutorial! 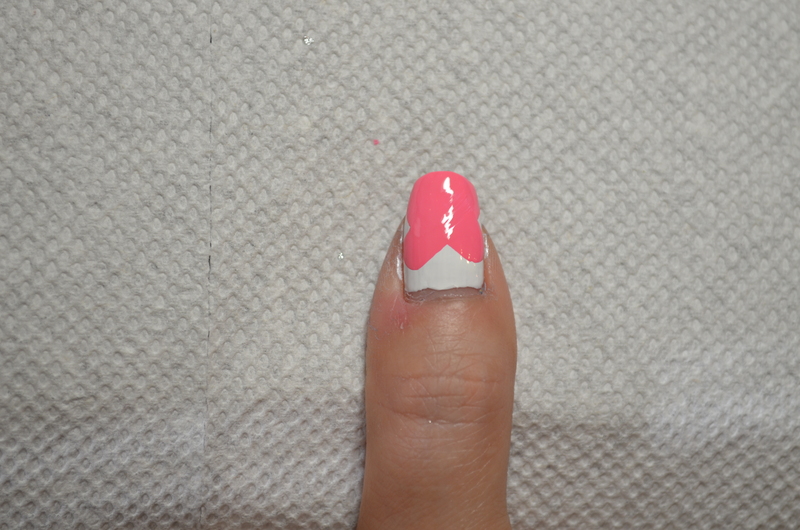 Step 3: Using a dotting tool or back of a bobby pin, randomly dot the colours onto the index finger and pinky. There’s no right or wrong way of doing it, just randomly dot it onto the fingers with different size dots at different places. I like to concentrate the dots up top to create a cascading effect. 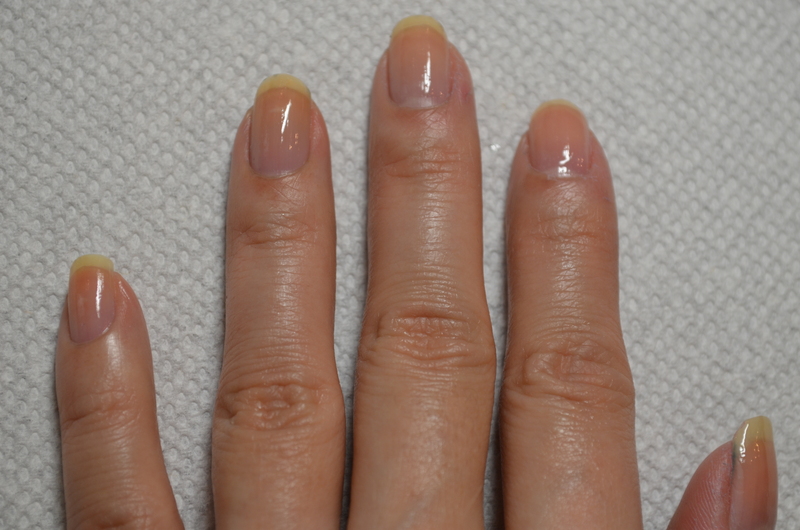 In this tutorial, I used green (110 Green with Envy by Sally Hansen), orange (150 Sun kissed by Sally Hansen) and purple (350 Purple Potion by Sally Hansen). 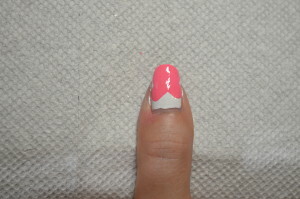 Step 4: Using a pink polish (Seeing Pink Elephants by Sephora by OPI) to create the body of the owl. 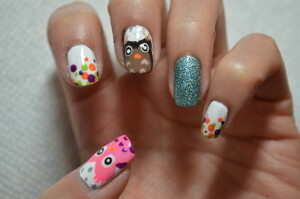 All you need to do is to use the nail polish brush to draw a thick and big cross onto the nail and fill in the area that is necessary to make the owl looks nice and chubby. 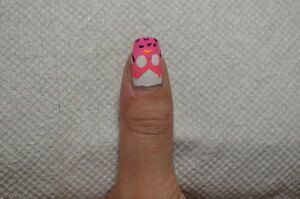 Step 5: Apply a light pink polish (470 Bubblegum Pink by Sally Hansen) to draw a half circle as the owl’s tummy. 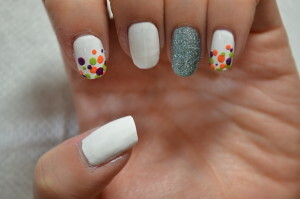 Step 6: Use a dotting tool or the back of a bobby pin to dot the eyes using white nail polish (300 White On by Sally Hansen). 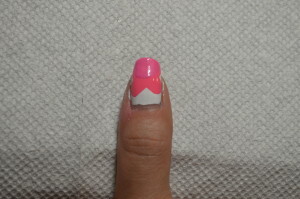 Step 7: Use a toothpick to draw an orange triangle(150 Sun kissed by Sally Hansen) as the beak. 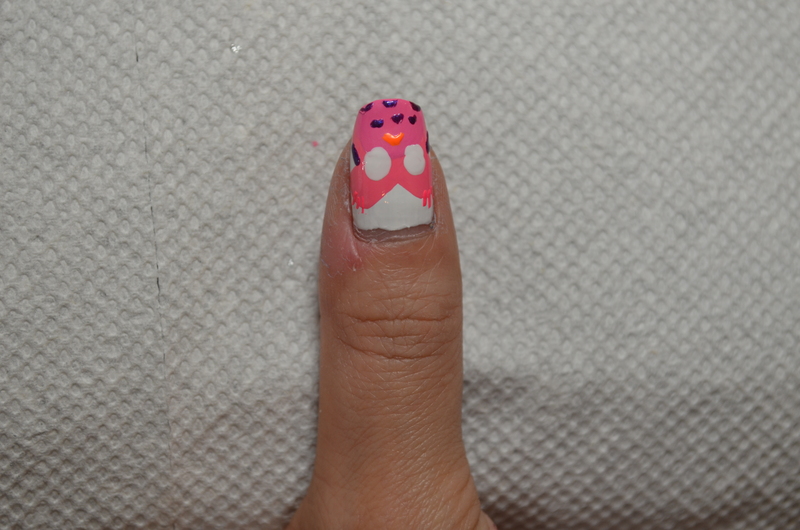 Step 8: Use another toothpick with purple nail polish (350 Purple Potion by Sally Hansen) to draw arrow on the tummy of the owl to represent feather. Using the same polish, you can give the owl two wings on the side. Step 10: Finally using black nail polish (370 Black Out by Sally Hansen) to dot the eyes, then use white nail polish to give the owl a pupil. And you are DONE! If you like, you can do the same thing onto the middle finger. As for me, I changed up the colour scheme to brown (Partner in Crime by Essie, Fierce, No Fear by Essie and Don’t Pretzel my Buttons by Sephora by OPI). As far as colour goes, the sky is the limit, so be creative and go for it. I hope you will try it out and don’t forget to share your re-creation with me on facebook and instagram (#glittermommynailart). 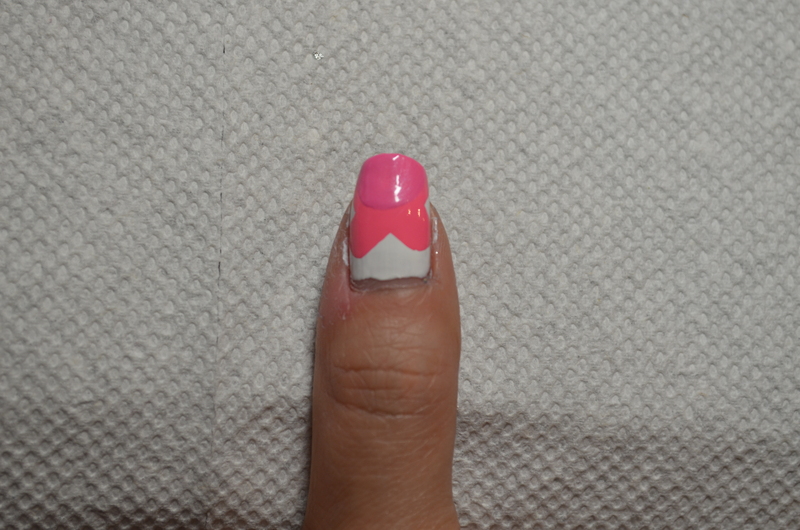 I will see you guys next Monday with a new nail tutorial.